You are not like you competitors so why should your cards be? 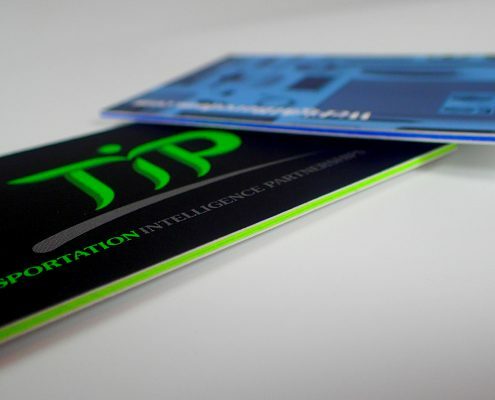 Are Your Business Cards Lacking? Back in the day, having business cards meant you were something; they were not as easy to come by. Today, you can order 500 business card with 5 clicks of a mouse. Problem is that the value of these crucial marketing tools has been diminished by these online outlets. Sure, if you are giving your card to everyone that breathes this might be the way to go but what if you aren’t? How do you stand out from the saturation of cards and be called upon when the time is right? This is how. This may be the easiest thing to set you apart right out of the gate. 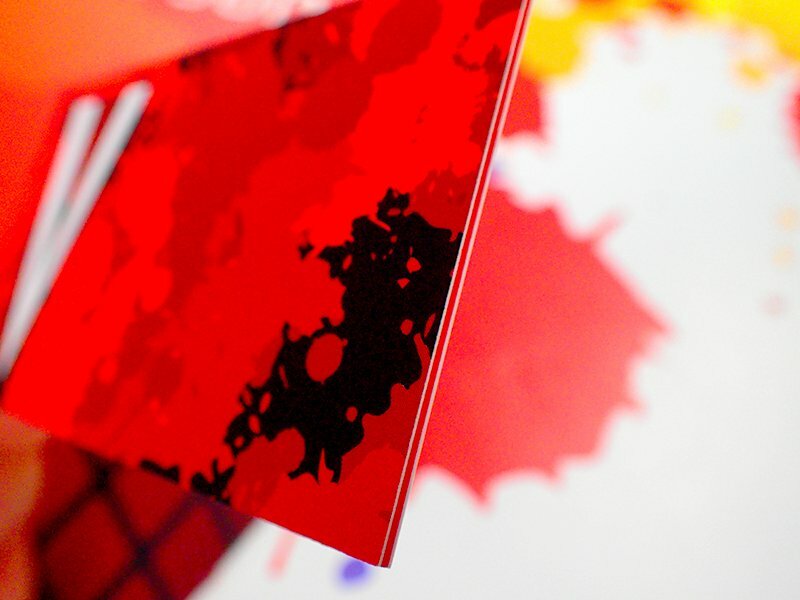 Specialty paper stocks range from linen to column textures but paper isn’t the end of the line. Plastics, metal and wood are all possibilities when you work with Voom. Choosing a substrate can depend on the industry that you serve. A carpenter may choose a wood veneer substrate while a lawyer might go for a clean linen stock. The substrate you decide to print on can enhance the final outcome the end user experiences so put some thought into this selection. Our new sleeking process can apply foils, gloss and dull spot effects, holographic effects and more. Finishes such as gloss or matte, a metallic highlights in gold, silver, colored foils. or incredible holographic impressions are attainable with this add-on. 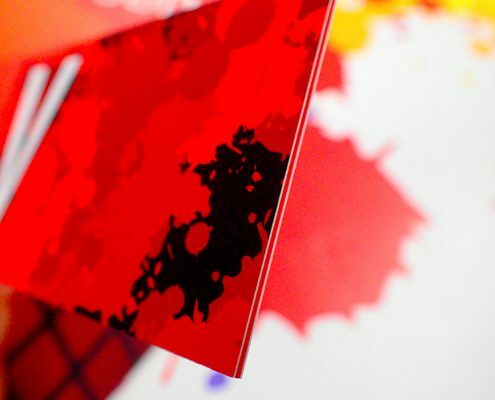 Since the sleeking location is determined by ink placement and not a die, digital printing gives more flexibility of design, and without the expensive dies traditionally associated with this process. This is especially significant for variable sleeking, which would be impossible with traditional foil stamping as you would have to pay for a different die for every print. Foil stamping is done by creating a die based on the area you want foil to be and stamping it into the substrate. Foil stamping works with more substrates than sleeking and comes in a wider range of color choices, although sleeking is closing that gap. Stamping accents the substrate you are using by pushing the foil into it as opposed to laying it over like your would do if you were sleeking. This can show off a specialty paper finish, such as stipple, with shimmers of foil. Definitely an attention grabbing kind of business card. Raised in the printing world can mean a couple of things. Raised ink or clear is what we are referencing but embossing/debossing is another tactic to get that tactile experience. 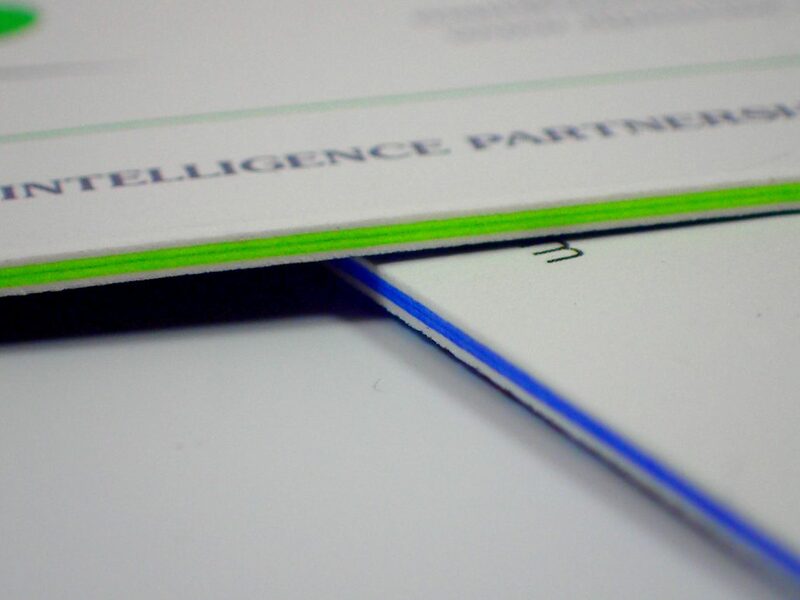 Our HP Indigo digital press allows us to build layers of ink to create amazing effects. 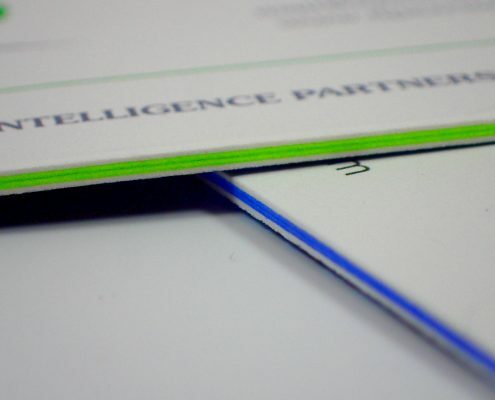 With the clear ink, we can put specific elevations over certain areas of color that give a visual experience as well as an unforgettable tactile experience. Die cutting can give your printing an unusual shape. Creating a die for a business card has an initial cost, as the die making the cuts has to be created uniquely for your job. (unless we happen to have that die in stock already) The die will pay for itself, though, when you start handing out custom shaped cards to the masses, helping you stand out in a sea of mediocrity. Mounting is the process of adhering multiple pieces of substrate together to create not only a more substantial element, but it can also give a design feature with a pop of color between layers. Adding customized thru-cuts can also accent the mounted color layer. 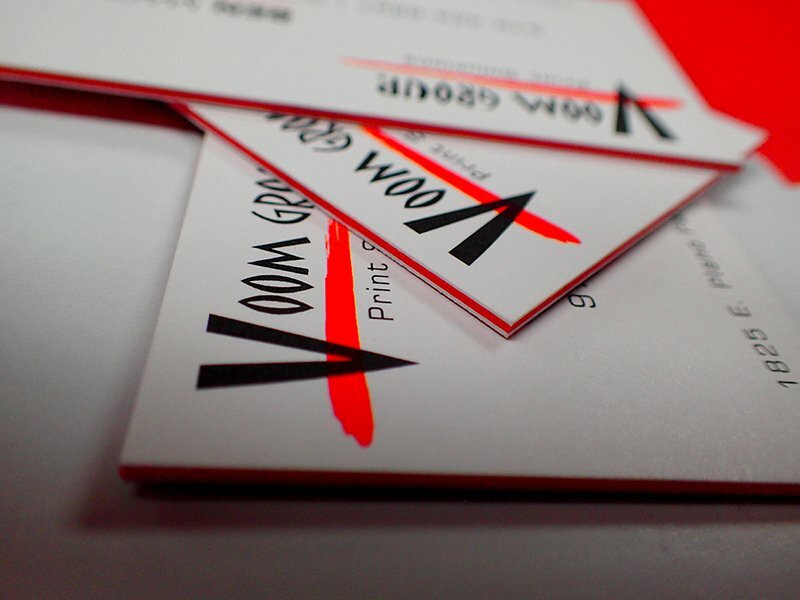 Since the capability addition, mounting can be done in-house here at Voom saving you time and money on a impressive marketing tool. 5 | Size and Shape. Die-cut the perimeter of the card to a unique shape. A musician could have their card in the shape of a guitar for example. If your logo consists of a recognizable shape, such as a triangle or star, this may be a good choice for you. 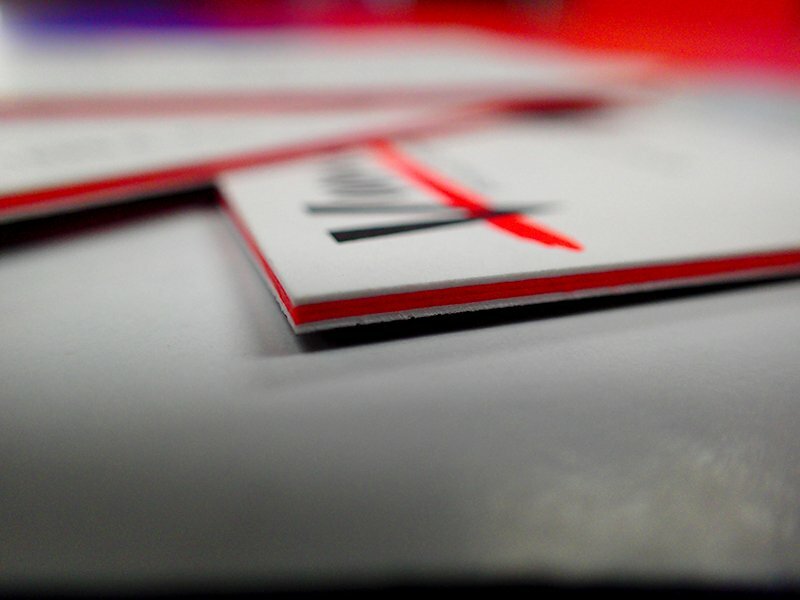 Through cut on the inside perimeter of a card can accent a certain area. The person holding the card will see through it so the placement and shape of the knock-out would need to be thought through for it to make sense to the end user. Round cornering all four sides or just the two opposite corners is a great way to smooth the edges while simultaneously standing out amongst the hard edged cards in circulation. Our newest equipment acquisition at Voom is a state of the art rotary die-cutter, talk to us today about all of the new possibilities for die-cutting your cards. 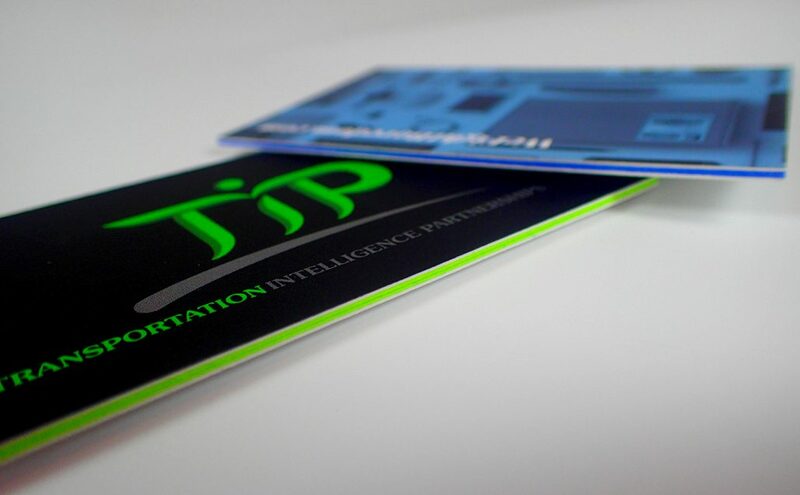 There are plenty of ways to stand out during your first impression and a business card is that first impression. Don’t squander it with mediocre design and lack of creativity. This is the moment to express your image, brand and your values. Make it count and good luck! Print and Digital: Harmonious Media Graphex Award Winners!